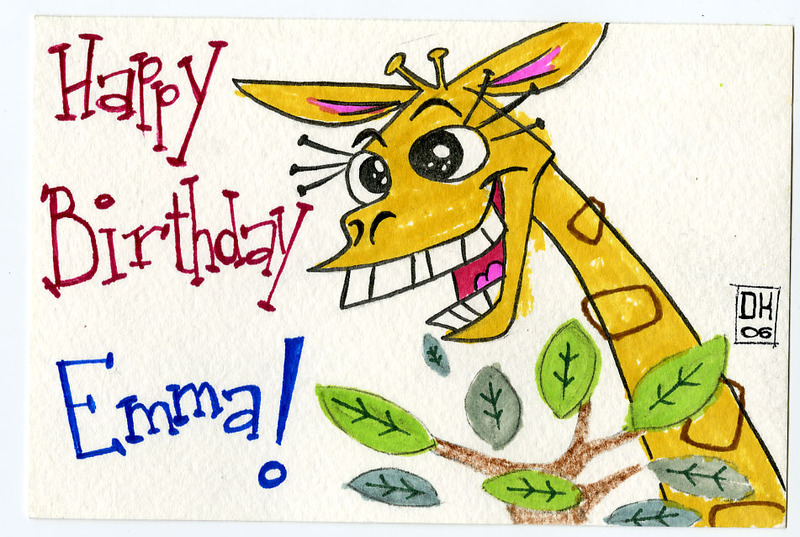 Here are a couple more birthday cards I made. 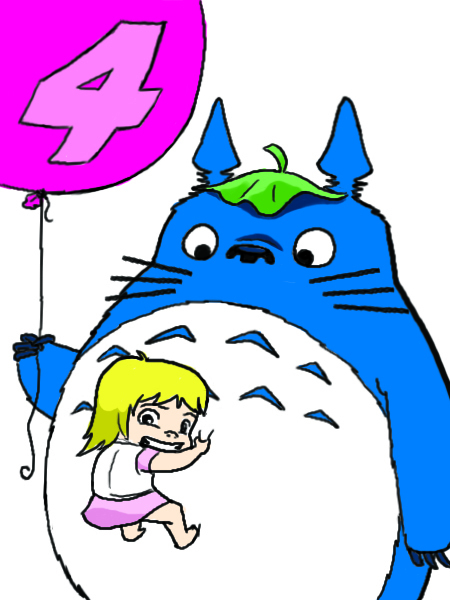 The Totoro one was for my daughter Maddie’s 4th birthday–that’s a caricature of her on Totoro’s chest. Nice caricature! Hehe I was not quite introduced to Miyazaki until later in life…your daughter is most privileged! Has she seen all of his animations? I too only discovered Miyazaki post-college. I however wanted to share Miyazaki’s genius with my daughters as soon as I could. However, they will have to wait a little bit for some of his more mature-themed features. So, far they have seen Totoro, Kiki’s Delivery Service, and Ponyo. They’ve also seen the Ghibli-produced The Cat Returns (cute premise, but kind of falls apart at the end.) I think once they are 8, they can see Porco Rosso, Spirited Away, then Laputa. Then after a couple more years, Nausicaa and Princess Mononoke. Don’t forget Howl’s Moving Castle :)…it’s my favorite, next to Spirited Away and Kiki’s Delivery Service.